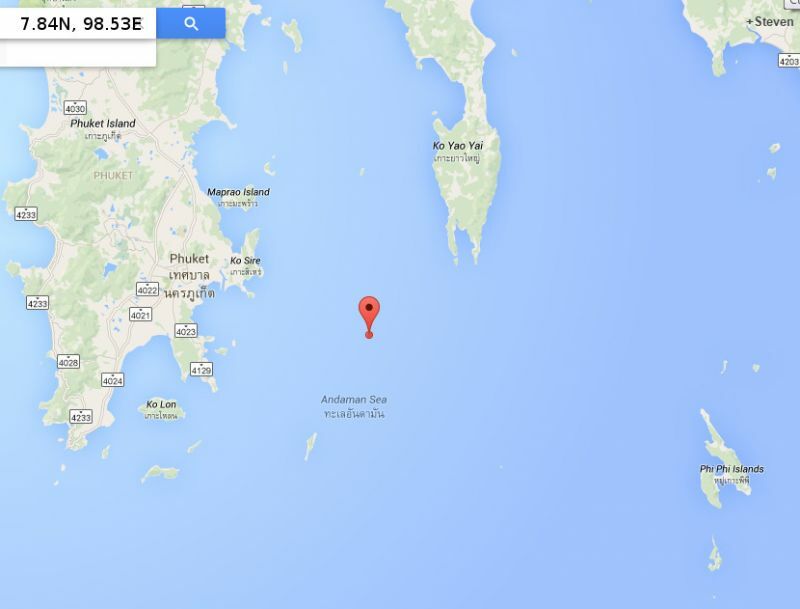 PHUKET: A 4.5 magnitude tremor shook the island at the 30 minute mark of midnight, with residents all across the island and Phang Nga Bay hearing and feeling its rumble. As of 1.15am, Facebook users in Sam Kong, Chao Fa, Koh Kaew, Chalong Pier, Rawai Kathu, Patong, Ban Manik, Pakkhlok, Kamala, Cherng Talay, Thalang, and across in Phanga and in Krabi's Ao Nang checked in to The Phuket News Facebook feed. Facebook users Orphan Homes and Thiwa Wah, were the first to cite a report, from the Thailand Seisomology Bureau (TSB), noting that the quake was of a 4.3 magnitude on the RS, and its epicentre was also off Koh Yao, at 7.87N, 98.54E, felt in Phuket, Krabi and Phang Nga. However, by the time The Phuket News was finally able to access the TSB website, the quake was logged as a 4.7, with its epicentre at 7.84N, 98.52E. ทางทิศตะวันออกเฉียงใต้ของ อ.เมือง จ.ภูเก็ต ประมาณ 16 กม. By 2am, however, it was adjusted to 4.5. at 7.84N, 98.51E. Its depth, which was initially reported as 8 km deep, was adjusted to 11km. The sea-sourced fault movement was the third to be felt in a 20 hour period in the Phang Nga Bay. According to Thailand's Seismology Bureau, the first was of 4.6 magnitude with an epicentre at 7.85, 98.54 longitude, with a depth of 4km, and then at precisely 12.25pm, an aftershock of 3.2 magnitude occured at 7.83 N, and 98.54. at a depth of only 1km. Read more about Phuket Earth Quakes, since 2012 here. Wow. Much bad energy around. The Gods are displeased ! Must be rattling Thai peace of mind.